Students will gain an in-depth understanding of environmental engineering problems and issues, and have the opportunity to specialise in high-demand areas such as solid and hazardous waste management, water treatment, wastewater treatment, air quality monitoring and control and renewable energy. You will develop the skills to incorporate sustainability concepts into engineering work practices from various discipline backgrounds. Griffith University was created to be a different kind of university – challenging conventions, responding to trends and pioneering solutions. Our high-quality degrees are specifically designed to prepare students for the future and are taught by Australia’s most awarded teachers. We rank among the world’s best universities and continue to improve our international standing. In the largest and most credible world university rankings, we are ranked in the top 400 – placing us in the top two per cent worldwide*. Griffith is committed to helping international students make the most of their time in Australia by providing quality education, guidance and support. We teach across three trimesters each year, with intakes available in February, July and October. For more information visit our Study website. Griffith hosts 50,000 students across six campuses in South East Queensland, spanning three major cities (Gold Coast, Logan and Brisbane). Students choose Queensland not only for the quality education but for its superb subtropical climate, welcoming environment and mixture of natural wonders and vibrant city life. 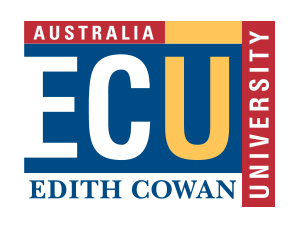 Learn about life in Australia and our campuses. For over 25 years, Griffith English Language Institute, Griffith University’s official English language provider, has been delivering award-winning English language programs. English for work, travel or personal reasons – no matter whether you are a beginner or advanced, we will help you achieve your English goals. For more information visit Griffith English Language Institute. * Based on the International Association of Universities – World Higher Education Database, listing more than 18,500 institutions of higher education. Griffith Mates: The Griffith Mates are a diverse peer-support network for international students, with members who speak over 30 languages. Look out for the Mates at orientation – they may even be waiting to welcome you at the airport! Orientation and arrival: Orientation is when you get to know Griffith and have fun meeting people before you start classes. The Griffith Mates will help you get to know your campus with campus tours during Orientation. Discover the beauty of Brisbane or the Gold Coast through free Twilight Walking Tours hosted by the Griffith Mates. International Student Advisory: If you need some extra personal support, make an appointment with an International Student Advisor. Our team of dedicated staff provides advice and information on issues that can affect your life in Australia and your studies at Griffith. EnglishHELP: If English is your second language, we provide a free English language learning service to develop your academic English and improve your overall academic performance. Peer Assisted Study Sessions: Peer Assisted Study Sessions are study groups for specific courses that students often find difficult or demanding. Health and wellbeing: If you need a doctor there are health and medical services located on the Gold Coast and Nathan campuses, as well as medical centres and hospitals near each campus. If you need someone to talk to about personal issues, we offer free, confidential student counselling on all our campuses. Disability services: Through our Disability Service, we aim to improve the participation, retention and success of students with disabilities, while ensuring easy access to learning environments. For more information visit International Student Services.